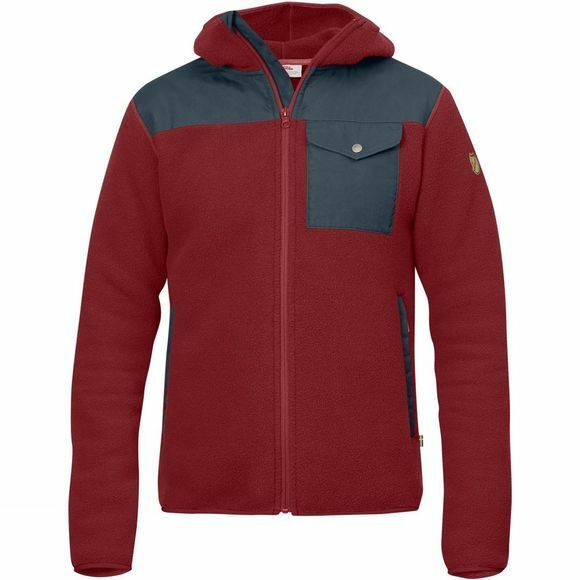 A comfortable and durable fleece jacket in a thick fleece fabric. The Men's Singi Fleece Hoodie is made from recycled polyester with G-1000 fabric on the yoke, pockets and elbows. The warm snug-fitting hood has elastic edging and the chest pocket features a buttoned flap. There are also two zipped hand pockets.